City life demands for products that accommodate best of both worlds, talking about which, Richard Dining Kit is one of its kind. The cleverly designed dining unit is the most desired to save up on space. When extended, it can serve up to six people at once & when otherwise, can harbour other purposes. It only gets better, the design & shade of wood are absolute royalty. With one leg in grace and the other in modernism, the exquisite set is sure to be a coveted one. 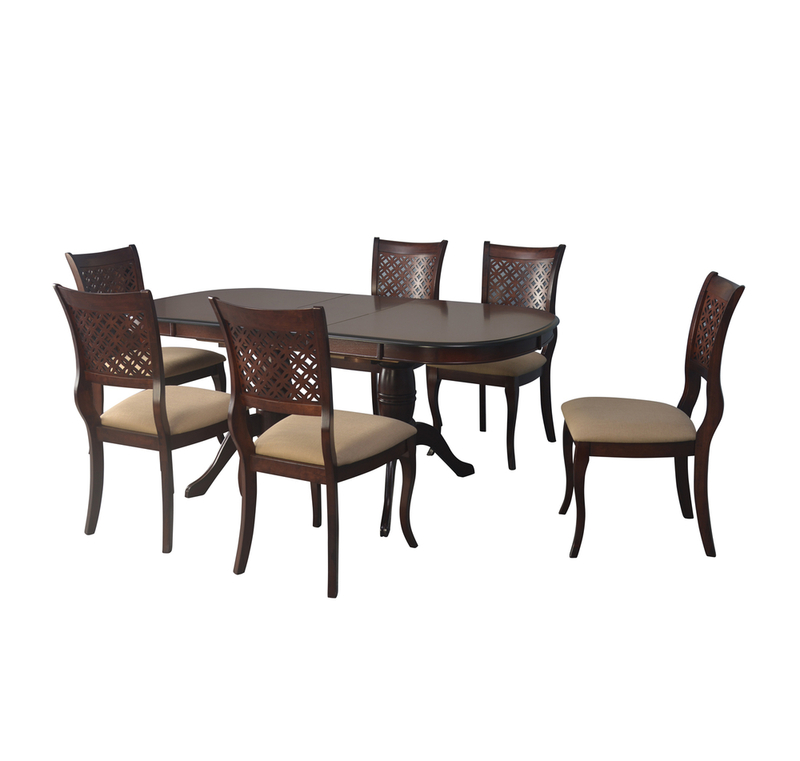 Stylish Dining set in Solid wood.Ergonomically designed chairs with cushion in base for comfort.Easy clean and Maintian.